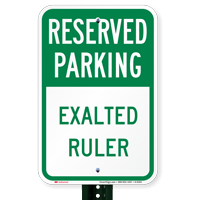 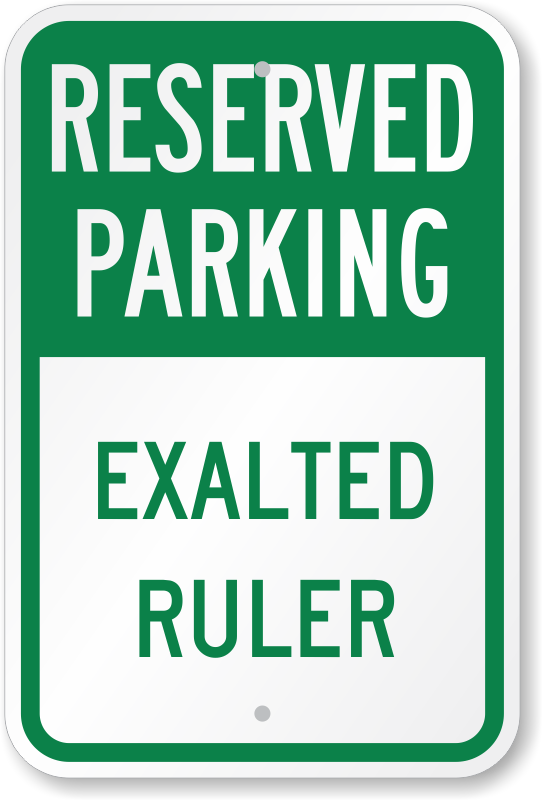 Get creative with our reserved parking signs and use this EXALTED RULER sign for someone in particular. 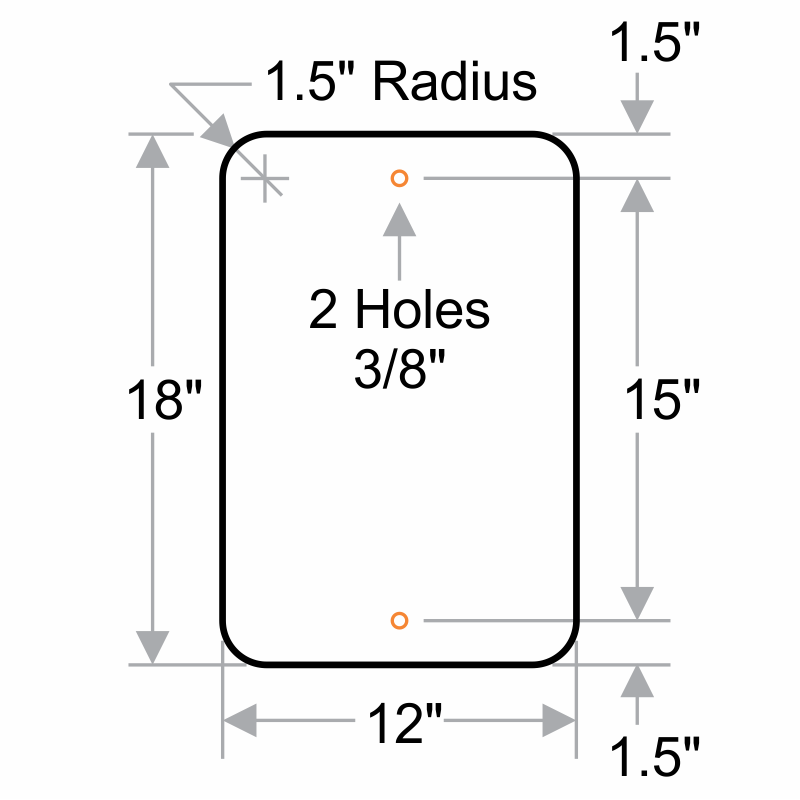 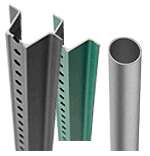 • Sign has pre-drilled holes for easy installation. 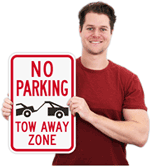 Sign can be installed onto a post, fence, or wall. 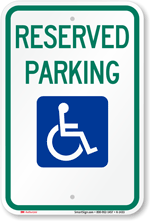 • 12" x 18" sign is perfect for outdoor applications. 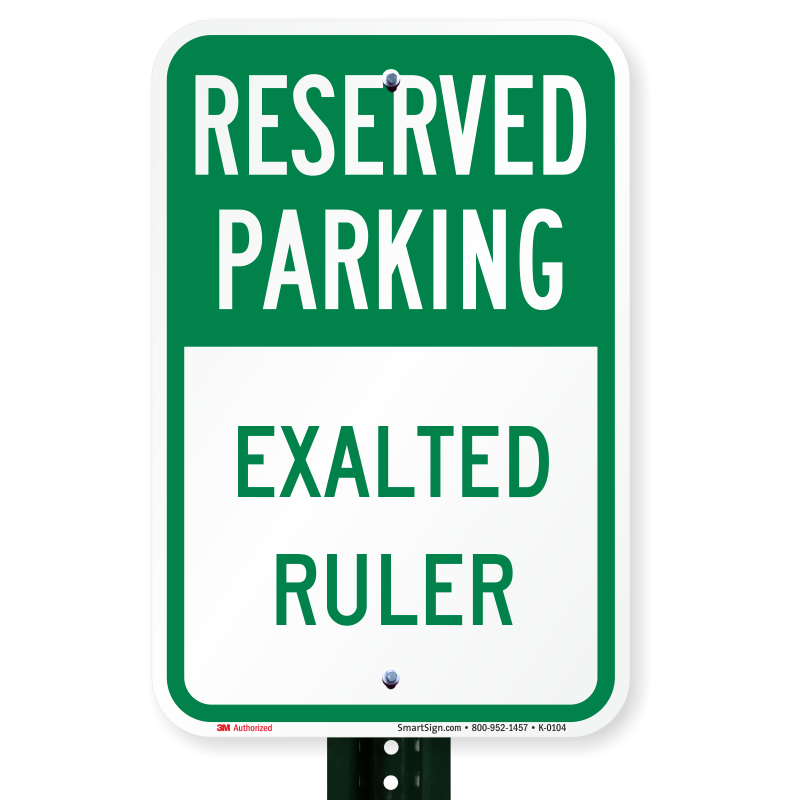 Was a gift and very happy with it.